Some days, I think it’s hard for me to be grateful about how successful the surgery was. Don’t get me wrong. I am beyond thankful but in my day to day life I forget how far I’ve come in almost 5 months. 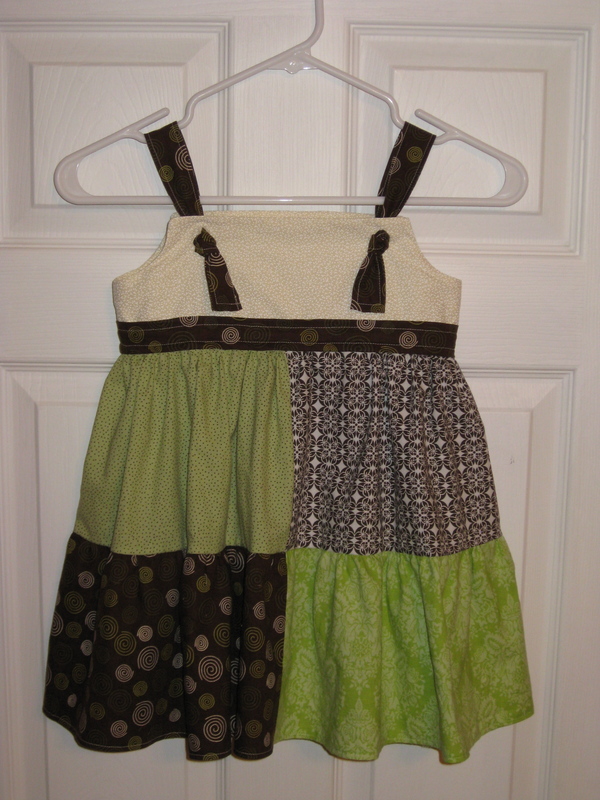 I made this dress yesterday for Kate. Six months ago there’s no way I could have sat at the sewing machine to even attempt such a project. I would have felt horrible during, immediately after and probably the following day as well. Yesterday I felt perfectly fine as I worked; I felt perfectly fine after I finished the project; this morning I woke up feeling normal. To me, that’s a huge example of how amazing my recovery has been and the epitome of why I wanted to go ahead with the surgery. It feels fantastic to be able to do the things I love. Super cute! Congrats on a great job. Be proud! I love this! It’s the accomplishments like this that allow you to do not just want you NEED to do to get by, but what you WANT to do to be happy that are so important! I’m so thrilled for you and glad to see you’re enjoying your new toy! What a wonderful project to accomplish on so many levels. You get to see the fruits of your labor everytime she wears it not just in your time and effort for the project, but in the past few months of recovery. And it’s a darling dress! I’m proud of you friend… in so many ways!!! So you are an awesome cook and seamstress? I bow to your talents and am so glad you are able to use them.